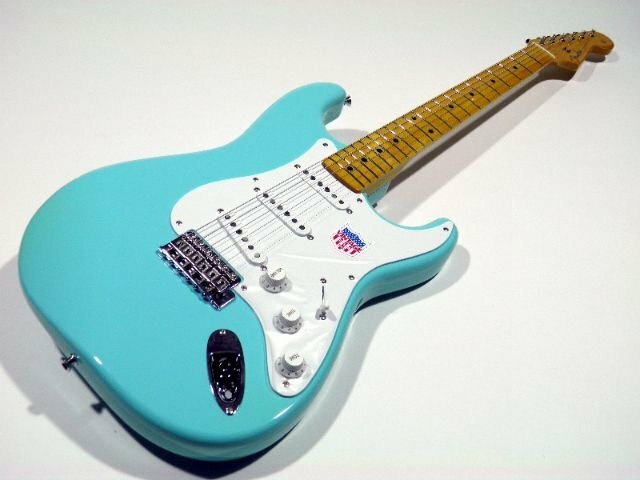 These guitars are made to similar specs to the original 1957 Stratocasters, as always they are not styled as reissues and with the exception of the Extrad range are not meant to be exact replicas. The models vary in quality the most basic being basswood with ceramic pickups others are quite high spec. You cannot easily tell some of the models apart without taking them apart. If you see one with a round string tree it's either replaced or more likely it's an ST54 Manufacturing through the years at different factories may have produced variancies especially in the neck profile they certainly don't all feel exactly the same. In 1992 the designations reverted to 1000s of yen instead of 100s the models really were very similar with the 900 getting a slight price rise, becoming the ST57-95 and later ST57-110. In the 1996 all previous models have gone except the ST57-53 which continues unchanged. A new model appears the ST57-70TX in 1998 the ST57-53 has gone and another new model the ST57-58US appears. These two models continue until 2006 when the price goes up and the numbers change to ST57-78TX and ST57-68US. Many funky colours are added along the way. 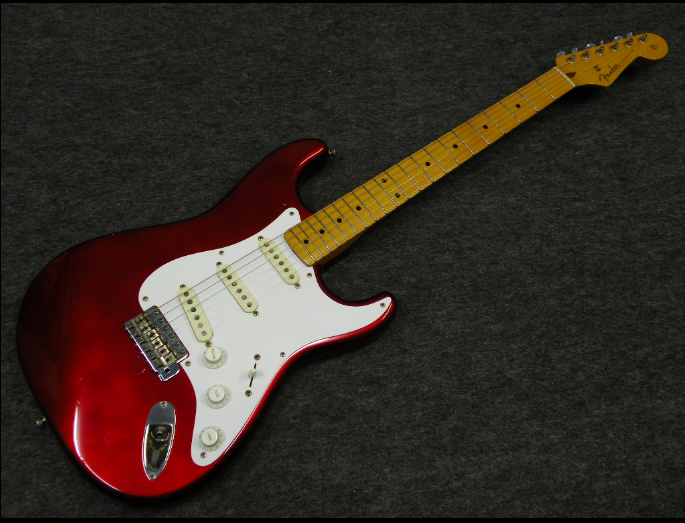 Further price increases in 2008 and now the models are just called the ST57-TX now 90300 yen with an ALG model at 108150yen and The ST57-US at 79800 yen. In 2002 the colour collection options are added Including Fiesta Red, Lake Placid Blue, Sonic Blue and OTM which I think is Ocean Turquoise Metallic by 2008 a colour called US Blonde has also been added. The Extrad range tries to faithfully replicate the original vintage guitars. 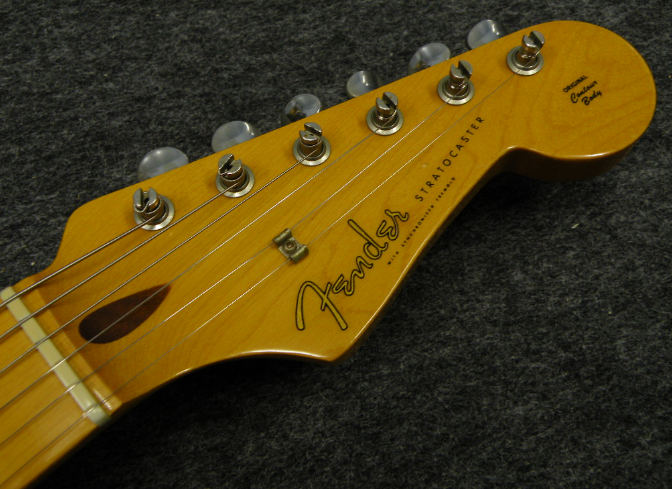 The Extrad 57 guitars were launched in 1986 as the ST 57-140. Intended for the Japanese market few of these made it to the west and as such are regarded as collectors items and when offered for sale are offered at pretty high prices. If it is an Extrad it should have Extrad written on the back of the headstock or by the serial number. However TCGakki whilst not clear suggest that some early models don't have Extrad written on. I would be inclined to the view that if it doesn't say Extrad it isn't one unless it comes with a certificate of authenticity. Coloours Black and Sunburst but could be others not shown in the catalogues.